Now accepting reservations for Portico. 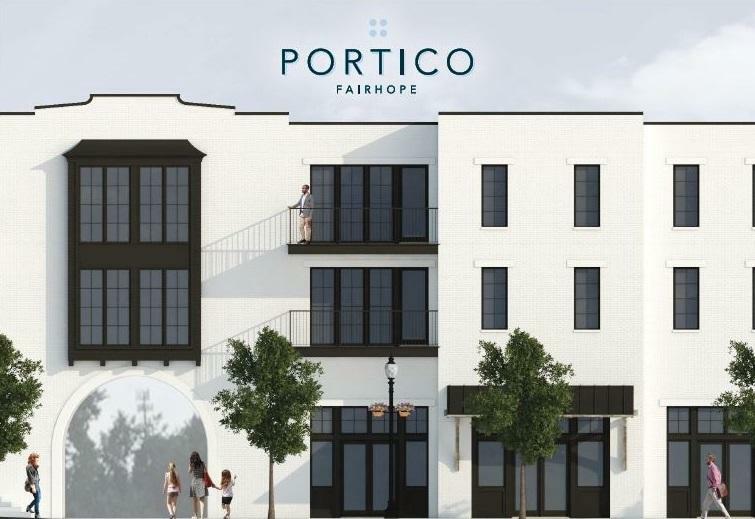 Portico is a premiere offering of luxury living in downtown Fairhope. 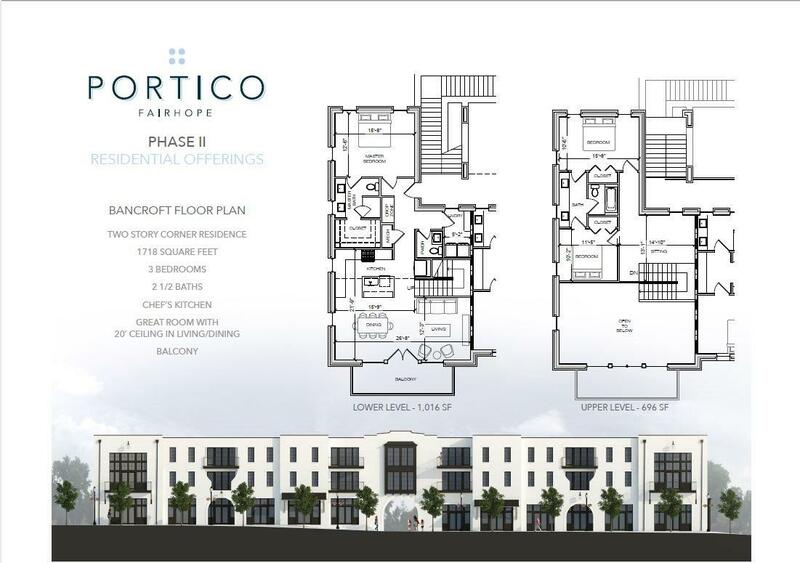 The Bancroft floor plan is a two story corner unit and features 3 bedrooms and 2.5 baths, chef's kitchen, open living and dining design master on the main level and a large balcony overlooking Fairhope Ave. This unit is perfect for your weekend getaway or primary residence. Need not be built- association fees to be determined.